Zakir Hossain, State Minister for Primary and Mass Education, visited the flame to catch up on irregularities of government primary school teachers. He visited many schools in Mirpur on Tuesday (February 12th). It is well known that the visiting minister was to determine if state schools are underway. During the inspection, he continued to attend lecturers regularly, teach classes, quality of education, school environment, children's sports goods and everything else. It was learned that he visited the "Bauiniya Bound Government Primary School" at 12 o'clock; in the Mirpur Blank area. Later, at 12 o'clock, he went to the Niketan Primary School for Ideal Education. Two school buildings are dead. Tin Rice interrupts Abadapaka Bhaban. The Student Class Crisis Teachers then demanded the renovation of the building. In response, the minister said, "What I have seen is very frustrating. However, he promised to build a fast building. The Minister went to Shahidbagh Government Primary School in the same area around 13:30. Although there was only 100% presence in the school, almost half of the students were not present. Except for maternity leave, there is evidence of colleagues with external teachers. 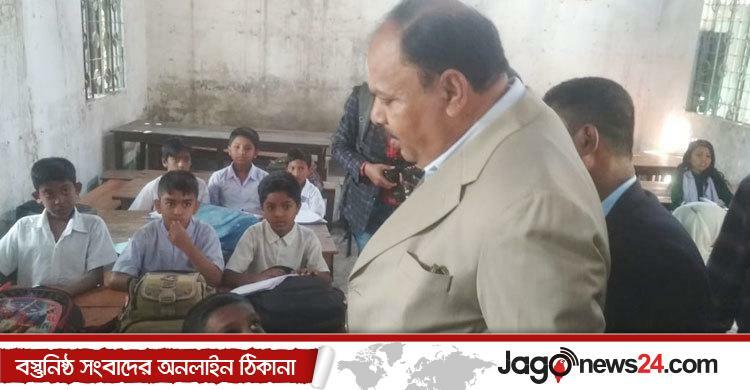 The school principal told the state minister that the children of poor families in school are reading. Many of them are involved in different tasks. Because of this, many students appeared at school, but later they left. However, due to the middle meal in the school, the presence of students is constantly increasing. The teacher said that the teacher was not allowed to miss the tuition due to maternity leave, so she was classed with an external teacher. He was temporarily appointed to a thousand Rupees per month. But this is an improper comment, said the state minister, a teacher who does not want to attend classes on holidays, and irregularities can not be counted on outside persons. It should be noted that the ministry of primary and mass education set a new teaching deadline on January 30 to ensure the attendance of elementary school teachers. According to the new guidelines, time is set from 8 am to 3 pm in the city of Dhaka and from 9 am to 4 pm in the mofussila. However, in the summer, classes take place from 7 am to 2 pm to 2 pm.